A very close call for motorists at Emerald Beach on Sunday afternoon. According to witnesses, the single vehicle left the Pacific Highway before crossing onto Solitary Islands Way and colliding with a barrier. 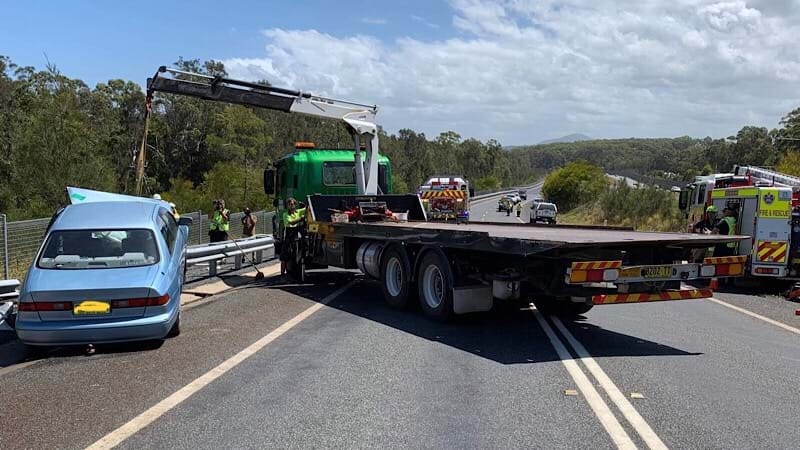 Emergency service personnel from the RFS, Fire and Rescue NSW, Ambulance and Police attended the scene of the crash that could have ended much worse. A tilt tray with a crane was used to remove the vehicle.